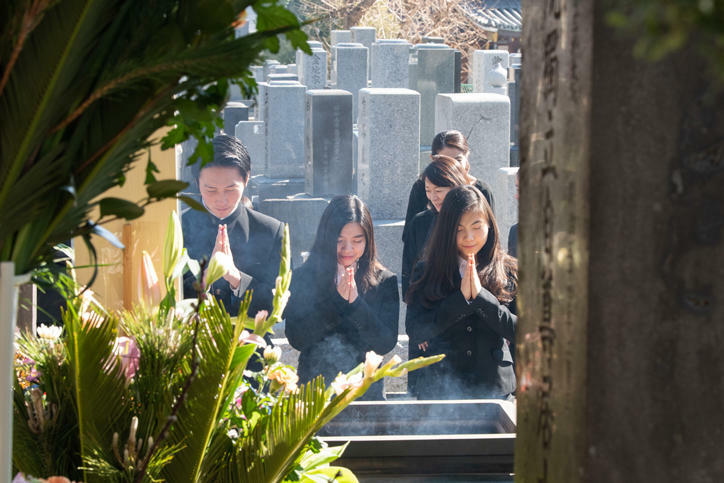 A Buddhist memorial service to mark the 119th anniversary of Yukichi Fukuzawa’s passing was held on Sunday, February 3 at Azabu-san Zenpuku-ji, a temple in Moto-Azabu, Minato City. 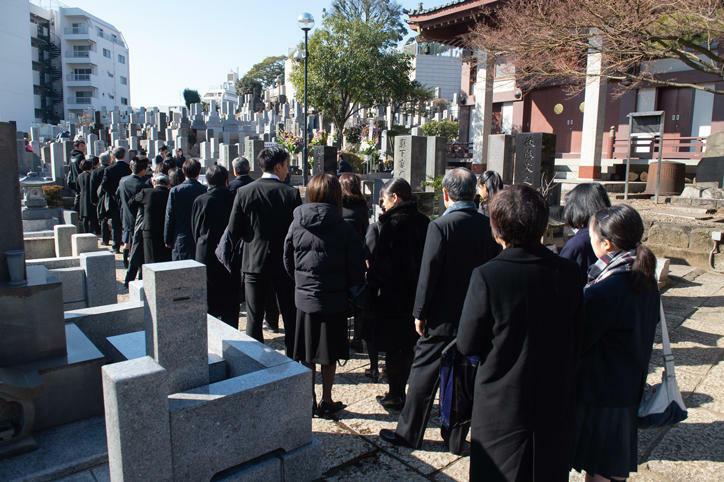 Many people associated with Keio University gathered to pay their respects before Fukuzawa’s grave on this day dedicated to his memory and referred to as "Yukichiki," including students from the affiliated schools and university, alumni, and faculty and staff members. The long line of visitors making their way to the temple on what was a warm and sunny day also included pupils from the Keio Yochisha and Keio Yokohama Elementary Schools alongside family members. 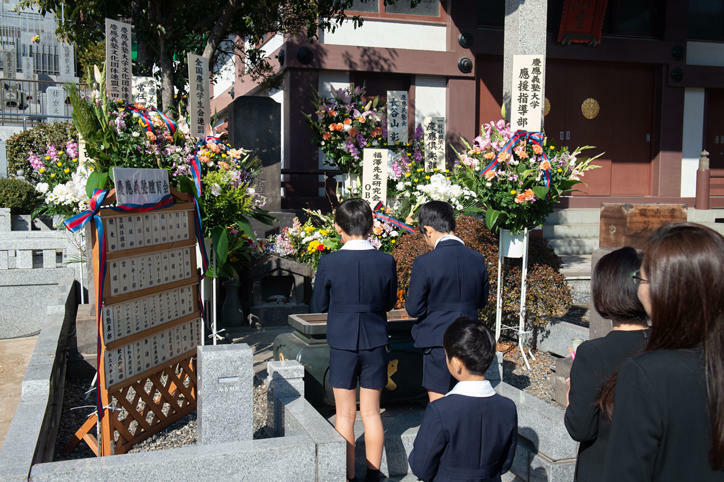 On February 3, 1901, Fukuzawa passed away of a stroke in his home that was located on Mita Campus. He was 66 years old. 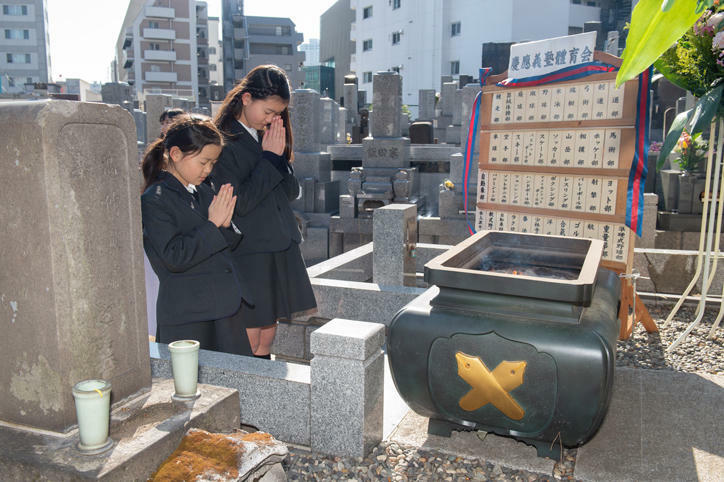 Originally, he was buried in a graveyard in Kami-Osaki (which later became the Joko-ji cemetery). 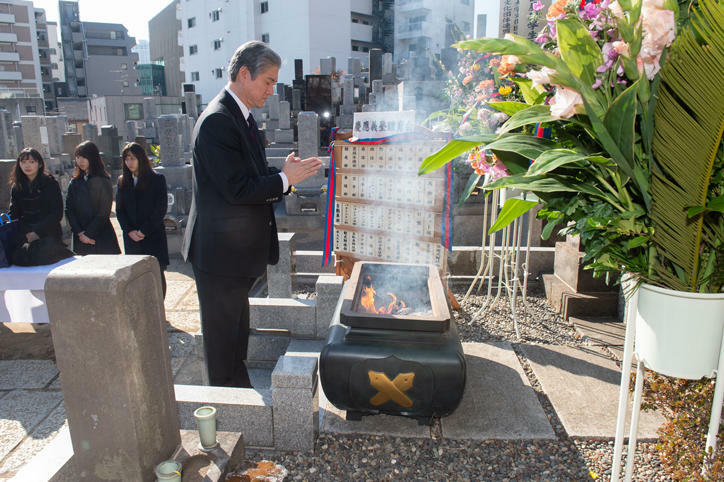 However, in 1977, his remains were moved to Azabu-san Zenpuku-ji.